I’m always happy to crawl into bed at the end of the day and read my book but I found myself thinking about bedtime at 4pm, just because I was looking forward to reading my book! 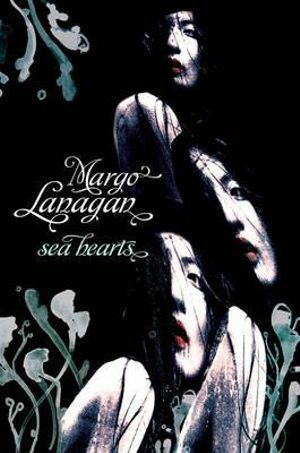 This was a library book called Sea Hearts by Margo Lanagan. I reviewed Lanagan’s short stories, Singing my sister down and other stories, here – and was in awe of the way she uses language to paint pictures. Her novel, Sea Hearts, is worthy of the same praise. It’s the story of a small island called Rollrock Island, told through several characters’ viewpoints. One of the characters, Misskaella, a misfit of a small girl even in her own family, realises that she can use her hidden powers to draw a girl out of a seal. But not just any girl – these girls are bewitchingly beautiful, gentle, serene and become lovely mams to their boys. The young men of Rollrock Island use all their savings to buy a bride, and eventually, the original women of Rollrock leave, broken-hearted as their husbands and sons buy themselves a sea-wife. The story is told over a few generations, so the changes to this small community are widespread and unforgiving. Regardless of what you think of a witch being able to draw girls out of the hearts of seals and men who are enchanted and cannot turn away from them, this story shows the way something can pervade a small village and change the lives of everyone, no matter who thinks they can stay strong to the old ways. This quote comes from Dominic Mallet, when he first sees his sea-wife – as reluctant as he is to meet her and forget his fiancee. It all seemed so dreamlike, yet so realistic, to me. The island life, with its red-haired inhabitants living there together for so long, suddenly interrupted and disturbed by first one, then another, then another seal-girl with their enchanting faces and bodies so that any Rollrock woman with her round face and body and flaming red hair would look so much less than, so ordinary. The witch Misskaella became richer and richer as first the young men, then those men who were already husbands, begged and bribed her to create them a sea-wife. What happens a generation later is startling and surprising, yet also inevitable. The book is almost a poem with its language and the way Lanagan paints pictures, but it’s also an anthropological exercise in what happens to a small village and its people when change occurs. I read it as an adult novel and later discovered it’s marketed towards young adults. Either way, it’s a great read.